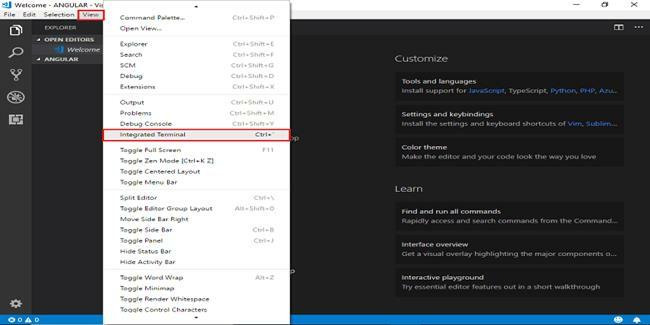 In this article, we are going to learn how to set up an Angular 7 application development environment in the Visual Studio code editor. We will create our first Angular 7 application. Angular is a framework to build client-side and server-side applications. 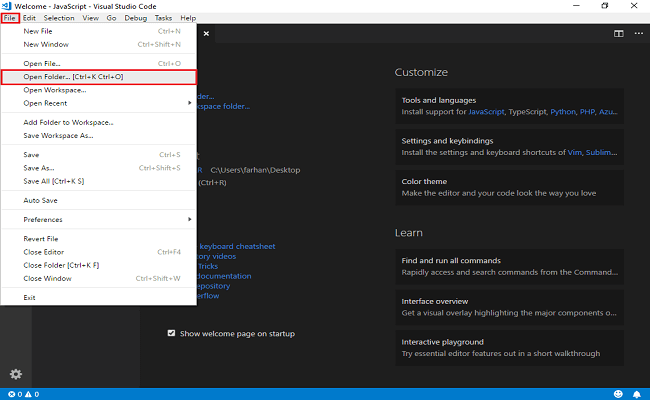 Download Visual Studio Code from here. Open a browser, type https://nodejs.org/en/download/, and click on the windows installer. 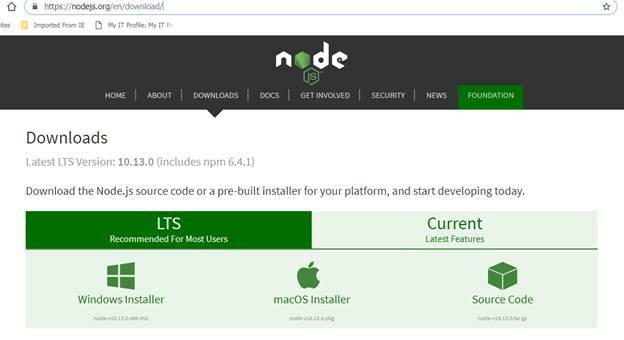 It will show LTS and the current version of the node, the user can download the recommended or current version. Type npm –v to check npm version. If node –v and npm - v shows their respective versions it means the node is installed successfully. Angular CLI is very important in setting Angular, open https://cli.angular.io/. Open Visual Studio integral terminal command prompt and type npm install –g @angular/cli. It will install Angular CLI globally where g represents globally. 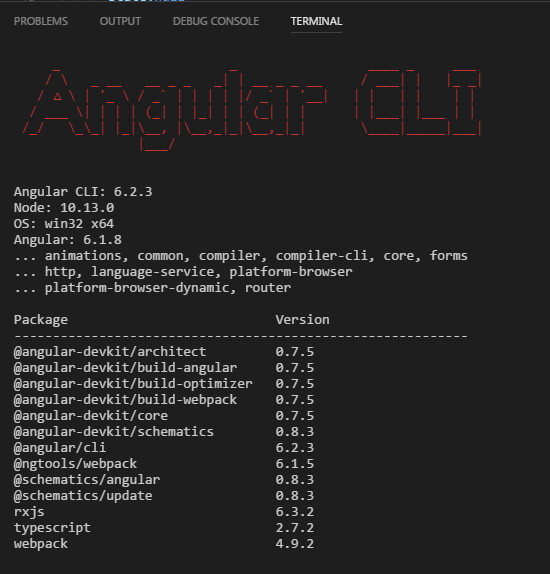 To check Angular CLI installed type command ng –v. Create a folder, Angular, on a desktop or your choice. Open Visual code, click on File, select Open Folder (ctrl+O) then click on it. After clicking on Open Folder a window will appear. Select the created folder and click on Select Folder as shown in the below image. Create the application, click on view, select Integrated Terminal and click on it. It will open a Visual Code Console. 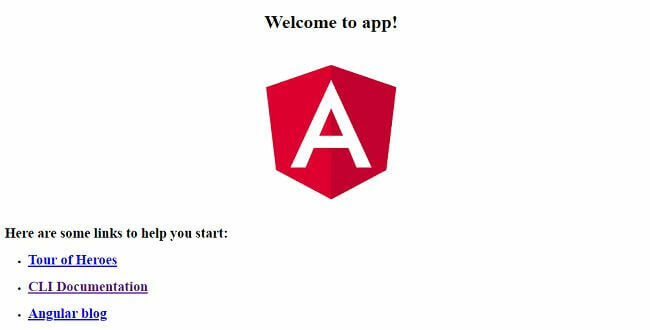 In this article, I have explained the setup development environment of Angular in Visual Code step by step. Hopefully, it will help you to understand.